In lieu of holiday gifts sent to my door, this year Adidas and Adidas Women gave me $10,000 to give to the charity of my choice. While this was immediately a thrill, what became of it seriously is sending warm tears down my face as I write this. I’ve had the great privilege to practice with Leonie in multiple countries in person and through the online waves. 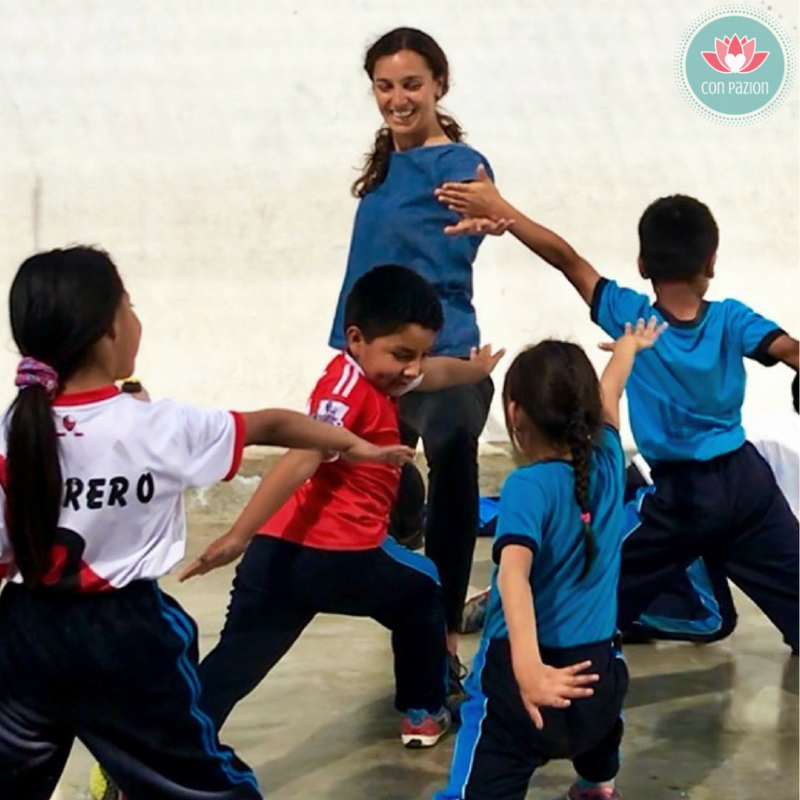 I’ve had the great privilege of witnessing her follow her dream to teach and help others, eventually following her move from the Netherlands to Peru and the brave establishment of her new chapter in life. Many of us in the Find What Feels Good community enjoy following her stories, her discoveries, her drive. It wasn’t till I was in Cape Town that I realized that Leonie was 100% committed to creating an organization to help disadvantaged children and that she was not planning but GOING to do it via the tools we all share a passion for. Yoga. Mindfulness. Consciousness. Play. Love. Service. Compassion. As Leonie started to map it out, the Find What Feels Good Community began to show their support not only through cheering her on, voting on names, designing the logo – but also by donating enough money to purchase shoes for the children as well as provide them with a good Christmas! Cut to one month later Leonie and her hard working and smart foundational team work in different countries contributing to the official birth of Con Pazion. I share this story because it makes me believe in magic, in love and in the powerful powerful powerful wielding of your truth. On a hunch, I asked Adidas if there was any way they could hold my gift until Con Pazion filed their paperwork to receive official charitable status. Thank you FWFG community, you bring out the best in me, in everyone and the world. And finally, thank you to the adidas, with whom I’m honored to be apart of the women’s creator network. PS: Be apart of the change and DONATE to Con Pazion here! 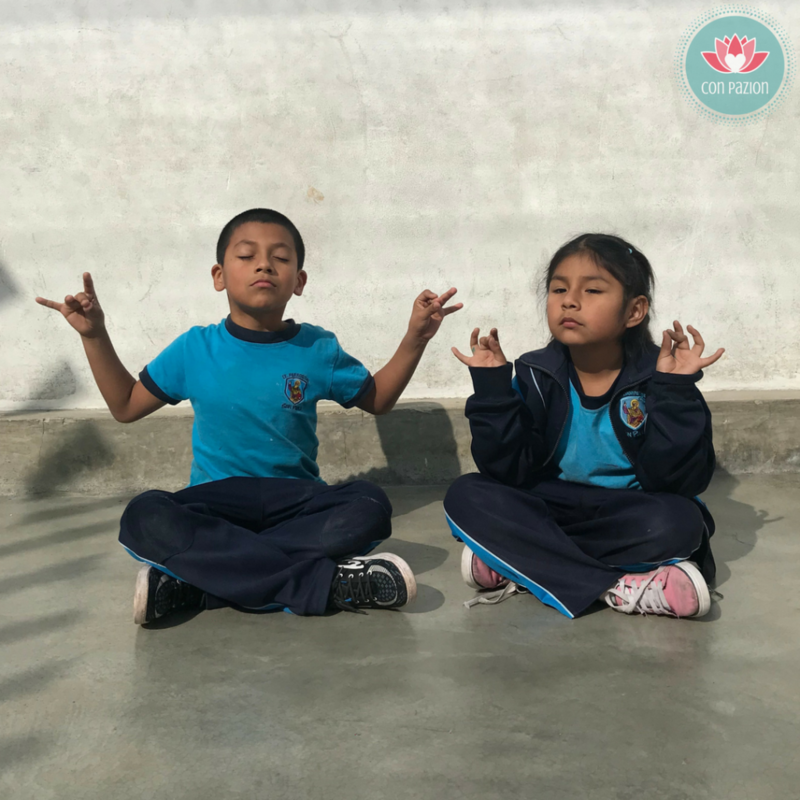 PPS: Check out this guest blog Leonie wrote for us before she moved to Peru! Hi Adriene! I just wanted to say you’re a huge inspiration to me. You positively influence us all to be kind and seek our inner divine self to be the fullest versions of ourselves. I love how you stay healthy and always show your best self.. I learned that spirituality can heal ourselves and those around us.What can we do to always keep that healing spirit flowing? Can you share a video of your “Draw My Life” or tell me what it is that moved you to begin Yoga? What experience shaped you, and what was your biggest struggle that you overcame through it? You’re a huge inspiration! I’m your fan and student. Could you advise me what I can do to always keep a a self-healing spirit to connect with those around me and protect their health? Adriene, your kindness and love, your generosity of time, spirit and energy is having a powerful positive impact across our beautiful planet. What a great story that made me almost tear up. It so great to hear these story of great people and organizations like Con Pazion. Thank you for sharing this story and I’m happy that you were able to hold your gift until Con Pazion receive official charitable status. You have a good heart Adriene, your such an inspiration to me. Dear Adriene, my husband and I worked for over 20 years in a nonprofit he founded to empower challenged students through the arts, using an arts mentoring approach he developed that has the very specific intention of developing students’ ability to be self-learners. I.e., to become more self-responsible, i.e., more mindful, conscious and empowered. So I love seeing your support of Leonie’s work (having done yoga daily with you for almost a year I already had a strong dose of respect for you), and would like to offer (gratis) a software we developed to track the development of those illusive qualities that can be so difficult to quantify… those that result in more compassionate and playful human beings. At this point it is only in English, but if it would be of use to Leonie we’d be delighted. I’ve listed the website below, including the direct page to the software and would love to hear back if she’s interested. Just about every day I finish my time with you with a smile on my face and a glowing heart. Thank you! You Adriene are a gem!